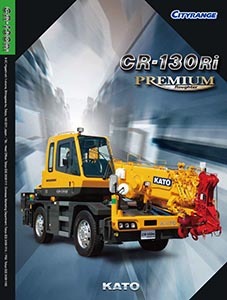 The Kato CR-130Ri city crane is a highly versatile mobile crane with a 13,000kg lift capacity. 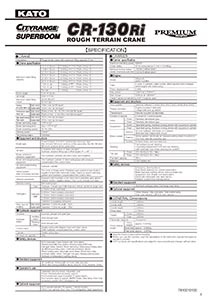 The boom length is 5.3m to 24.0m with an optional jib 3.6m to 5.5m. 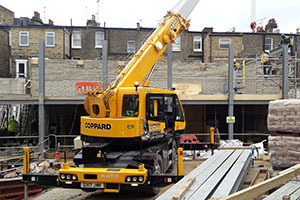 The crane has a width of just 1,995mm and a height of 2,845mm this will allow access to sites with restricted access. Colour Display Touchscreen ACS complete with working range limitation as standard.